In June, one of the best golf courses in Majorca (Arabella Golf Son Vida) celebrates the Montblanc Golf Tournament. 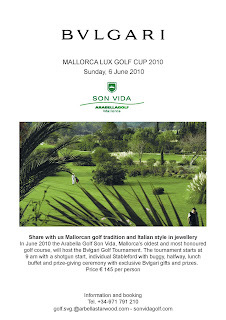 The third and last day of the tournament will take place on Sunday the 6th of June with equal scheme to the other days. Mallorca is among the top five, and go to weekend games after collecting seven points in four games, and they were impressive in seeing off the sides to promote Tenerife Xerez 2-0 and 4-0.